Start off your visit on the 8th (Sat): admire the masterpieces at Louvre Museum, appreciate the history behind Arc de Triomphe, and then admire the striking features of Basilique du Sacre-Coeur de Montmartre. Here are some ideas for day two: contemplate the long history of Eiffel Tower, then explore the world behind art at Musee d'Orsay, and then admire the striking features of Cathédrale Notre-Dame de Paris. 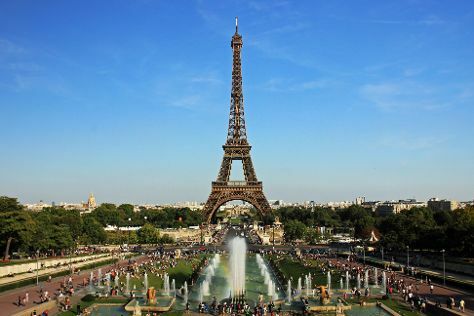 For traveler tips, where to stay, other places to visit, and more tourist information, use the Paris vacation planning tool . San Francisco, USA to Paris is an approximately 15-hour combination of subway and flight. You can also fly; or do a combination of flight and train. The time zone changes from Pacific Standard Time to Central European Time, which is usually a 9 hour difference. In June, plan for daily highs up to 74°F, and evening lows to 55°F. Finish your sightseeing early on the 9th (Sun) so you can travel to Barcelona. Kick off your visit on the 10th (Mon): take in the architecture and atmosphere at Barcelona Cathedral, then take in the architecture and atmosphere at Basilica of the Sagrada Familia, then stroll through Parc Guell, and finally pause for some photo ops at Casa Batllo. To find other places to visit, reviews, traveler tips, and tourist information, go to the Barcelona online trip builder . You can fly from Paris to Barcelona in 5 hours. Alternatively, you can do a combination of flight and train; or drive. Expect somewhat warmer evenings in Barcelona when traveling from Paris in June, with lows around 66°F. Finish your sightseeing early on the 10th (Mon) so you can travel to Rome. Kick off your visit on the 11th (Tue): admire the landmark architecture of Pantheon, make a trip to Trevi Fountain, don't miss a visit to Roman Forum, then delve into the distant past at Palatine Hill, and finally delve into the distant past at Colosseum. Here are some ideas for day two: contemplate the long history of St. Peter's Basilica, explore the world behind art at Vatican Museums, then take in the architecture and atmosphere at Church of St. Louis of the French, and finally make a trip to Piazza Navona. To see more things to do, traveler tips, reviews, and tourist information, refer to the Rome itinerary builder site . Traveling by flight from Barcelona to Rome takes 5.5 hours. Alternatively, you can drive; or take a train. In June, daily temperatures in Rome can reach 84°F, while at night they dip to 65°F. Finish your sightseeing early on the 12th (Wed) to allow enough time to travel to Budapest. On the 13th (Thu), take in the spiritual surroundings of St. Stephen's Basilica (Szent Istvan Bazilika), then see the interesting displays at House of Terror Museum, then pause for some photo ops at Hősök tere, and finally get a sense of history and politics at Parliament. Here are some ideas for day two: take in the views from Szechenyi Chain Bridge, contemplate in the serene atmosphere at Dohány Street Synagogue, admire the masterpieces at Hungarian National Gallery (Magyar Nemzeti Galeria), then take in the spiritual surroundings of Matthias Church, and finally steep yourself in history at Fisherman's Bastion. Ask Inspirock to suggest an itinerary and make planning a trip to Budapest fast, fun, and easy. You can do a combination of train and flight from Rome to Budapest in 5 hours. Other options are to fly; or drive. Expect little chillier temperatures when traveling from Rome in June; daily highs in Budapest reach 79°F and lows reach 56°F. Finish your sightseeing early on the 14th (Fri) to allow enough time to travel to Prague. Start off your visit on the 15th (Sat): take in the views from Charles Bridge, take in the spiritual surroundings of St. Vitus Cathedral, then appreciate the extensive heritage of Prague Castle, and finally don't miss a visit to Old Town Square. To find maps, ratings, where to stay, and other tourist information, read Prague trip tool . Fly from Budapest to Prague in 4.5 hours. Alternatively, you can drive; or take a bus. While traveling from Budapest, expect little chillier days and about the same nights in Prague, ranging from highs of 72°F to lows of 55°F. Finish your sightseeing early on the 15th (Sat) so you can travel to Copenhagen. 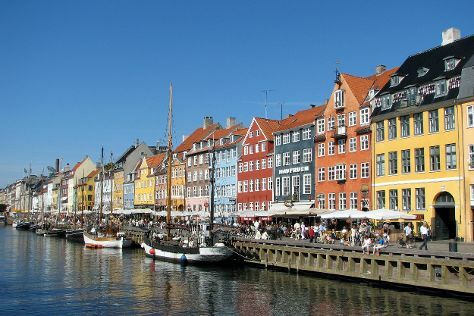 Founded in the 10th century as a Viking fishing village, Copenhagen has morphed into the cultural, political, and economic powerhouse of the country. Kick off your visit on the 16th (Sun): take a stroll through Stroeget, then get engrossed in the history at Amalienborg, and then see the interesting displays at Ny Carlsberg Glyptotek. Keep things going the next day: enjoy breathtaking views from Rundetaarn, then step into the grandiose world of Rosenborg Castle, then pause for some photo ops at The Little Mermaid (Den Lille Havfrue), and finally take in the waterfront at Nyhavn. For other places to visit, more things to do, maps, and more tourist information, use the Copenhagen online trip itinerary maker . Traveling by flight from Prague to Copenhagen takes 4.5 hours. Alternatively, you can drive; or take a train. Traveling from Prague in June, expect Copenhagen to be a bit cooler, temps between 67°F and 50°F. Wrap up your sightseeing on the 17th (Mon) to allow time to travel back home.